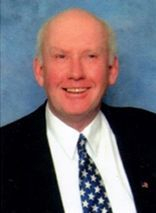 Phillip L. Pendergast is a former school teacher and retired real estate broker who grew up on Cape Cod. He enjoys reading, writing, traveling, working outside, and spending time with his grandchildren. He currently resides in a small town on the South Shore of Massachusetts with his wife, Gail. Bits and Pieces is his first published book, though he has had some short stories printed in a local anthology.